Rumors have come to a halt as the 2017 Apple Keynote has wrapped, and, as expected, the big event was all about power and speed. 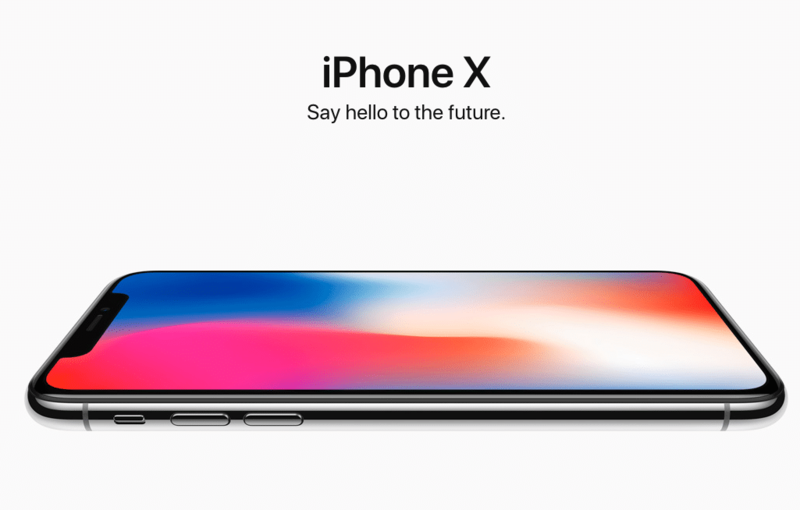 We learned about the highly anticipated and futuristic reveal of the iPhone X, along with the release of the iPhone 8 and 8 Plus, the Apple Watch Series 3, Apple TV 4K, and more. From the beginning of time, Steve Jobs’ philosophy for Apple was simple. He believed in the simple and the extraordinary. Quoted from Jobs, “Here’s an old Wayne Gretzky quote that I love. I skate to where the puck is going to be, not to where it has been. And we’ve always tried to do that at Apple”. Fast forward to 2017, Apple continues to endure this stirring philosophy. Steve Jobs’ vision was to believe in the simple, not the complex, and to engage in deep collaboration and cross-pollination of groups to allow innovation to thrive in a way that others cannot. Apple continues to endure this original philosophy and is now home to over 35,000 wicked-smart innovators. The 2017 Apple event begins at the brand new all-anticipated Apple Park and launches with a remembrance of Steve Jobs. “Steve’s spirit and timeless philosophy on life will always be the DNA of Apple”, states Apple’s CEO, Tim Cook. The new 175-acre campus, officially called Apple Park, is complete with minimalistic but sleek designs that Apple is infamously known for. Apple Park transformed a sea of asphalt into a seamless natural environment composed of 175-acre green space with over 9,000 trees, powered 100% percent by renewable energy, and complete with a visitor center that is meant to emulate an augmented reality experience. Designed with immense precision and extraordinary attention to detail, Apple Park aims to humanize technology. With Steve’s vision and passion thriving through Apple Park, the park is committed to design, simplicity, and making things usefully beautiful (and beautifully useful). Okay, now on to the stuff we’ve been waiting for— that new-new. First on the list is the anticipated new Apple Watch Series 3. Apple announced Apple Watch is now the #1 watch in the world, beating out Rolex, and maintains a leading customer satisfaction rate of 97%. Users of the Apple Watch lend gratitude to the device, claiming their watch has allowed them to become a better version of themselves by utilizing the hefty amount of fitness features it has to offer. So, what’s new? 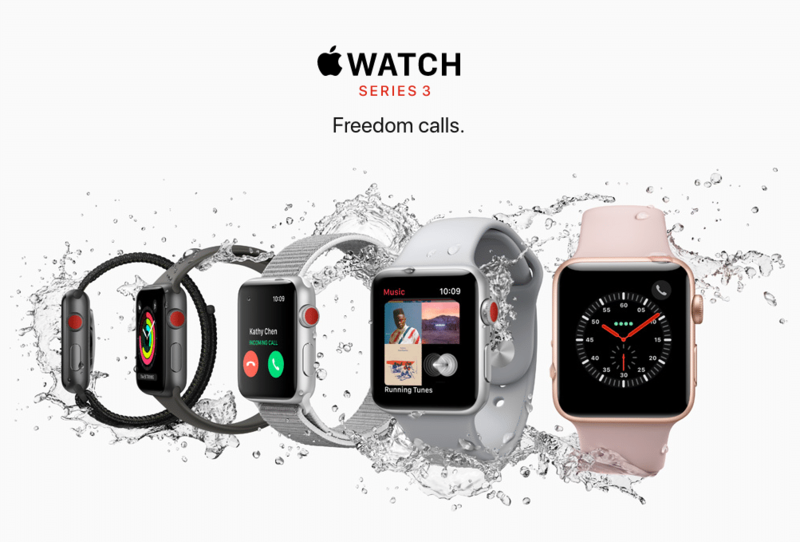 The Apple Watch Series 3 has LTE wireless connectivity. With cellular data built into Apple Watch, you now have the freedom to go for a run with JUST your Apple Watch, meaning you can make phone calls without your iPhone in sight. This is what we’ve been waiting for! With this new feature, Apple claims the battery life should last about 18 hours with mixed usage. This sounds like a great option for phone calls during the day, but may not be long enough to leave your phone at home for the entire day. There are also new features that aim to help improve fitness and benefit overall health, including more heart rate apps, new features for swimmers, and added features for overall improved fitness. The Apple Watch is also successful at detecting irregular heartbeat, with an added feature that detects elevated heart rate when you do not appear active. Heart arrhythmia atrial fibrillation is the leading cause of strokes, but the challenge is that symptoms are not always obvious. Apple believes the Apple Watch Series 3 can help this challenge by detecting irregular heart beats. Apple has announced their Apple Heart Study, in partnership with Stanford Medicine and the FDA. This study analyzes data from the Apple Watch, and the first phase of the Apple Heart Study will be available later this year in the App Store. Next, we have the two new iPhones— the iPhone 8 and the iPhone 8 Plus. While the new iPhone isn’t a complete redesign, there are plenty of new, awesome features. 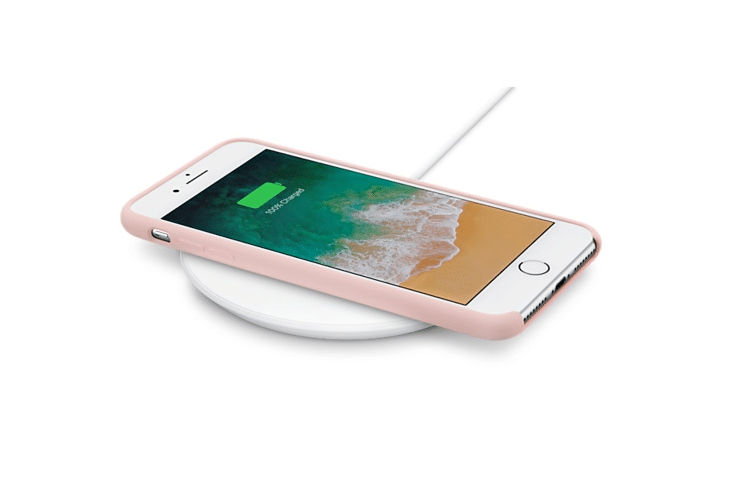 For starters, the iPhone 8 and 8 Plus both sport the new glass-backed design, allowing the device to be compatible with wireless charging. With an appearance similar to the iPhone 6 and 7 (which should make change-averse iPhone users satisfied), the iPhone 8 has kept its home button and Touch ID. The new iPhones (8 and 8 Plus) have upgrades in the camera, processor, and the new feature of wireless charging. The glass back adds a sleek glossy finish to the mobile devices and facilitates wireless charging. The new processor, the A11 Bionic, is super-fast and the cameras include a new 12-megapixel sensor and an image processor built by Apple. The iPhone 8 Plus sports a dual rear camera, allowing the device to utilize Portrait Mode along with a range of other photo features. And let us tell you. The new Portrait Mode is I-M-P-R-E-S-S-I-V-E. The portrait mode produces the effect of real studio lighting and optimizes the image before the photo is even taken. 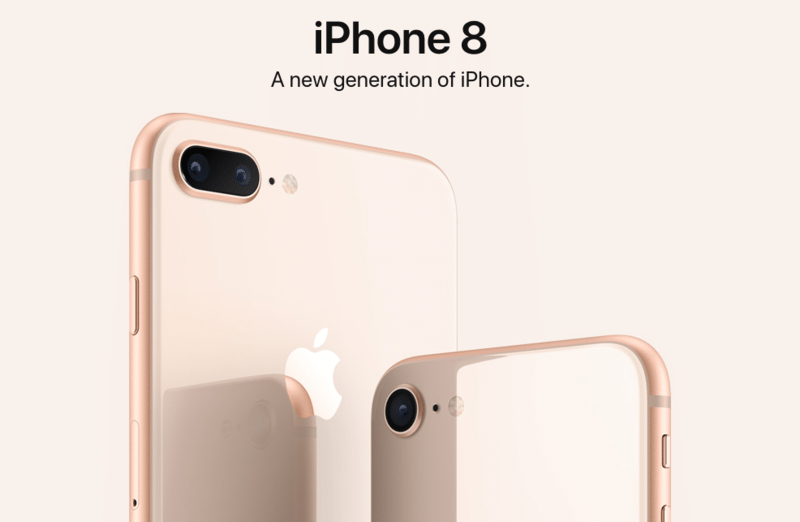 The new iPhones (8 and 8 Plus) are definitely an upgrade from the iPhone 7, with its added new glass back, a more powerful A11 Bionic processor, improved cameras, True Tone display (changes the screen’s tone based on the lighting of your location), and other small improvements. Now, what we’re all here for. The futuristic iPhone X. Since the beginning of time, Apple’s goal was to create a physical object that disappears with the experience. Well ladies and gents, that iPhone has arrived. Introducing the all-new completely futuristic iPhone X that sports a seamless front design with an edge-to-edge appearance. This iPhone comes ten years after the release of the very first iPhone. Upon first glance, it is apparent the boundary between the device and the screen are hard to discern. And surprise! The home button is gone. Simply swipe up to access the homepage and new apps. Sporting a seamlessly fluid appearance, the iPhone X has more responsive touch features so the gestures in iOS are more fluid, as well as a new true depth camera sensing technology called— Face ID. Yes that’s right, no more Touch ID. Your face is now your secure password. Face ID uses depth sensing technology and maps the unique geometry of your face with over 30,000 invisible dots. And yes, Face ID can recognize you in the dark and even with glasses on. With the true depth camera enables even more experiences, such as bringing your emojis to life. Emojis can now display all your emotions— happy, sad, confused, etc.— all in the face of a monkey, kitty, or pig. Really, the choice is yours. The new screen is an edge-to-edge 5.8-inch OLED panel with 2436 x 1125 and support for HDR. Battery life improvements were also added to all new iPhone models. The iPhone X will be available in silver, space gray, and gold, while all models are water- and dust-resistant. This is the future of the smart phone— a wireless charging pad. Though this feature will not be available until next year, we are highly anticipating its arrival. With Air Power, you can charge your Apple devices simultaneously simply by placing the device on your charging pad. Woah, the future is cool. Last but not least in the Apple lineup is the new Apple TV 4K. According to Eddy Cue, Apple’s senior VP of Internet Software and Services, “It’s remarkably faster”. The all-new 4K resolution offers 4 times the pixels of the last model, which provides visibly richer color. 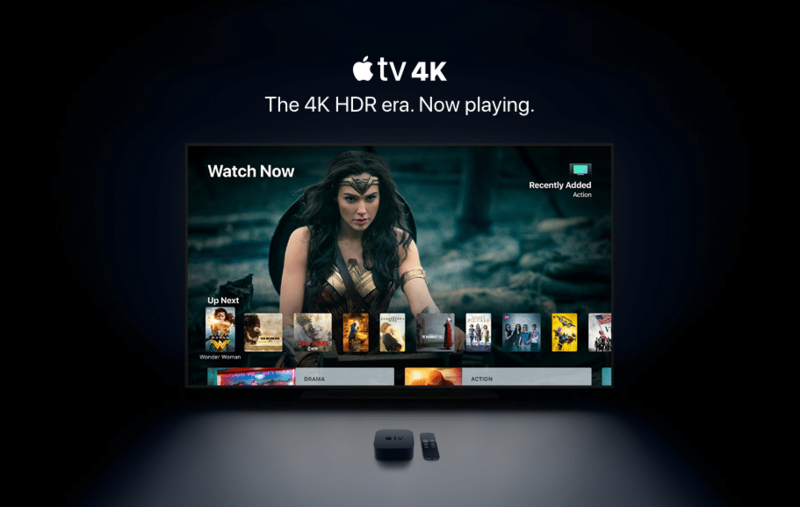 The fifth-generation Apple TV 4K is built with the A10X Fusion processor found in the iPad Pro, which is a significant performance boost. Given it’s the 10th anniversary of the original iPhone, expectations were heightened for the annual Apple Keynote. The 2017 Apple Keynote event was one of the higher anticipated events in recent years, and from a user perspective, Apple did not disappoint. We believe Apple met these lofty expectations in a robust form of upgraded features. If you are interested in mobile app development on any of these new Apple platforms, contact us today and we can help!